My Bright Firefly: Blog Love - Liebster Award! 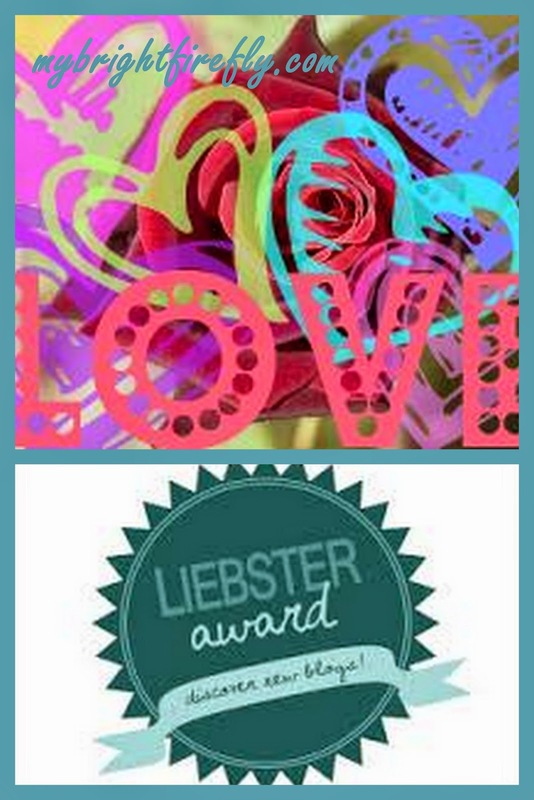 Blog Love - Liebster Award! 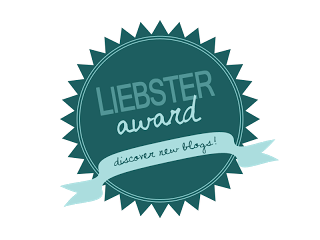 This blog was nominated with a Liebster Award! "What's that?" you'd ask. Yes, I've learned a new word this week too. And it is a word of LOVE, so I really LOVE it! Liebster, German, Beloved, Dearest, Sweetheart, Darling. The other forms are: lieb, lieber, am liebsten... And I LOVE the translation of this word into Italian; it just sounds so pretty: Carissimo. for your great info, advices, support, encouragement, everything! Thank you for being you, and for helping me to survive being a mother! * Nominate 5 - 11 newly developing blogs - THE RISING STARS!!! I'll update on this ASAP!!! Wonderful blog - please, check it out! Cindy was a museum educator and art teacher, and now she is a WAHM of two lovely daughters, Yoshi (5) & Zuzu (2). She is passionate about the power of ART in people's lives. Would you like to visit an enchanted play dough garden? Would you enjoy meeting Sweet Scarecrow? You can do that and so much more over at Mackenzie's blog! She is a Montessori follower, and passionate about trying her best to raise smart, confident, happy kids in a way that's fun for all of her sweet V-bot (3) and T-bear (1). Amy is a SAHM to a lovely Little N. She worked in Childcare and Education for several years. It is her passion to deliver high quality activities and experiences for children tailored to meet their individual needs. She have continued to do this with her own family too, and she is still learning lots. Renae is a happily married, full time stay-at-home mom, and a homeschool teacher to four special needs children. She has a bachelor's degree in music, speaks Spanish fluently, and into developing the Montessori Inspired Curriculum for almost 2 years now. Her first two children, Dinomite, age 6, and Bulldozer, age 5, are biological children. The family's decision to adopt through the foster care system had changed their lives, as they became foster parents for four years, 2 1/2 of which Renae's husband was home full time, taking in over 20 children, more than half being infants. Two of these infants are now their adopted daughters, Princess, age 4, and Sunshine, age 2. Clare, a former sales executive, found her calling in teaching her tot Georgia and working as a Child-minder. She writes her blog about the things they get up to, the things they make, and the indoor and outdoor fun they have. Her blog is such a bright sunshine! Why and how long ago did you start blogging? This baby blog is 1 month old, yay! I'd be happy if one of my ideas help another Mom out there. And through her, some joy of playing and bonding to her kids and family! What one word sums up the heart of your blog and why? Is there something you learned later in your blog journey that you wished you knew before? People get tired of biases and pretention of media; and enjoy the fresh honest views of bloggers more and more. What is your favorite past time other than blogging? I love new experiences and travelling, reading, music, playing with kids, and a glass of vine with a best friend. How many hours per week do you dedicate to your blog? My baby blog is like any baby: it asks for constant attention through the day. There are so much to do behind the scene: I create activities and take pictures, write drafts for new posts, edit and publish, read and answer comments on the blog posts and Facebook posts, check out what's new on Twitter several times a day. What category of blog posts do you enjoy the most? Kids' activities: hands-on exploration of the world by families with kids. Parenting blogs. Where does your blog inspiration come from? Our daily life and Mommy blogs. What post have you written are you most proud of? Oh, I don't have much. My favorite one is yet to come. Kids really enjoyed creative Moon painting: http://www.mybrightfirefly.com/2014/10/m-is-for-moon-halloween-art.html I love watching My Firefly exploration of the US Geography with the puzzle and activities: http://www.mybrightfirefly.com/2014/09/us-geography-preschool-activities-wild.html Our hand made Armadillo stays our favorite so far. Is there any post that you have been planning to do, but kept postponing for a while now? Yes, My Firefly's third birthday is coming. All the birthday preparations are not on the blog. And more important: Thanksgiving activities. What is your favorite aspect of blogging? Interaction with the most wonderful people - Mom Bloggers! Which recipe, project or idea on my blog would you be most likely to try yourself? * I love cherry ice cream. * I wanted to be a flight attendant as a child. * I love to wear summer dresses, no high heels. * My favorite season used to be spring. Now it is fall. Why did it have to change? * I love Scarlett in the book, but not in the movie. * My favorite book is The Little Prince by Antoine de Saint-Exupéry. * Both times I was pregnant, all I wanted is to hide in the corner and knit baby cloths. Maybe because it helped me to concentrate on my thoughts and dream away. * My beloved doggy, little red beauty, died 2 days before My Firefly's first birthday. I am missing her so much! * I don't really like cooking sometimes. Would prefer to spend time somewhere else. * I made a conscious decision to stay at home with this baby. And every day I think about it and feel guilty for ruining my career. * Family, friends, and this blog's readers. Does anything else exist in the Universe worth mentioning? What is the story behind your blog's name? What is your favorite way to treat yourself? What do you like the most about the area you live at? Your dream vacation: mountain hideaway or a beach house? Which project or idea on my blog would you be most likely to try yourself? A is for Alligator. Feelings. C is for Cats. Paper Plate Cat. Dramatic Play. M is for Moon. Halloween Art.